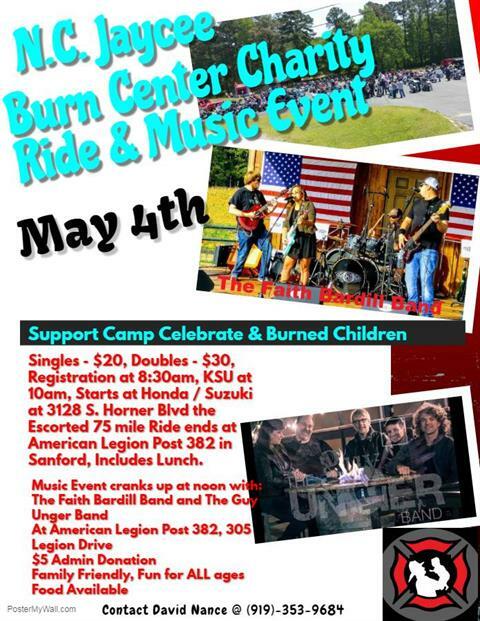 This event supports Camp Celebrate a special camp for Burned Children and the NC Jaycee Burn Center. This Escorted 75 Mile Ride will begin at the Honda Suzuki of Sanford located at 3128 S Horner Blvd. in Sanford with the ride returning to Sanford ending up at the American Legion Post 382 located at 305 Legion Dr. in Sanford. A Fun Day for all, FAMILY FRIENDLY, Kids Games, Live Music, Vendors and Food. This event is co-hosted by Lee County Firefighters’ Burned Children Fund & Many Friends of Different Groups and Supporters. Overview: This ride will leave out of Honda Suzuki of Sanford. ~ Tons Of Raffles and More!!! 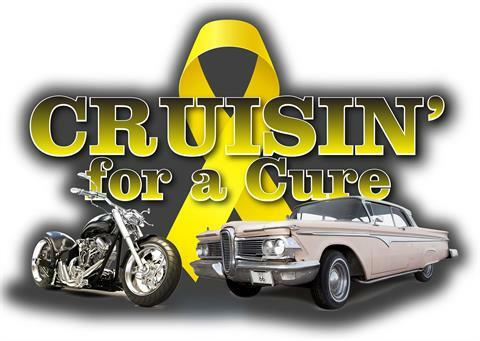 **Classic Cars (vehicles) and Motorcycles MUST PRE-REGISTER by clicking on the TICKETS at the top. ALL PROCEEDS GO TO ST. JUDE CHILDREN'S RESEARCH HOSPITAL!! !